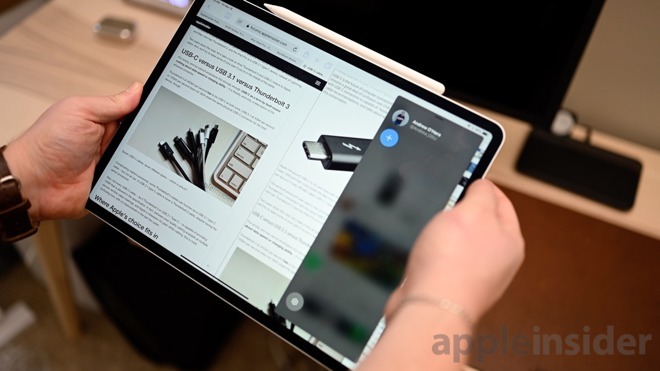 Tap to Wake also makes an appearance on iPad with the new Liquid Retina display, which is even more essential with the lack of a physical Home button. 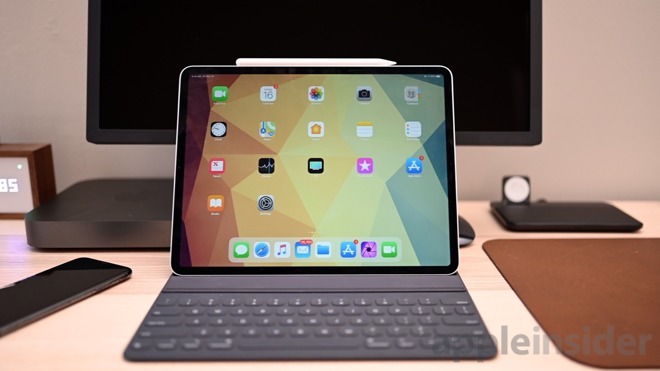 Of all the changes to the new iPad Pros, count this as one of our favorites. 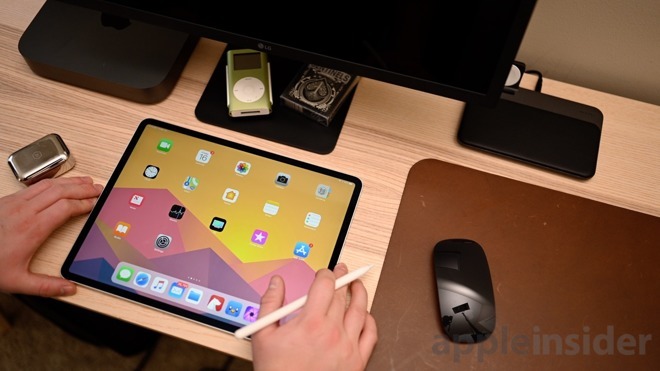 It is easy to wake the display to check the time or notifications while we are in the middle of a shoot than struggling to find the power button around the edge, and we're looking forward to when it migrates further down in the iPad line —it should open up some interesting use-cases around the house. At the same time, dealing with the files is another matter. For a lot of my work, I use cloud storage lockers such as Amazon Drive to backup and store files, as well as locally. 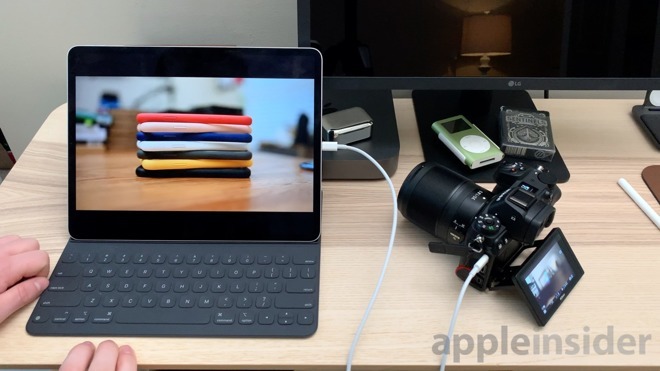 It is easy enough to dump photos from my camera — with no adapters over USB-C mind you — when I'm eager to start editing, but dealing with massive amounts of files is still a task left to my Mac. 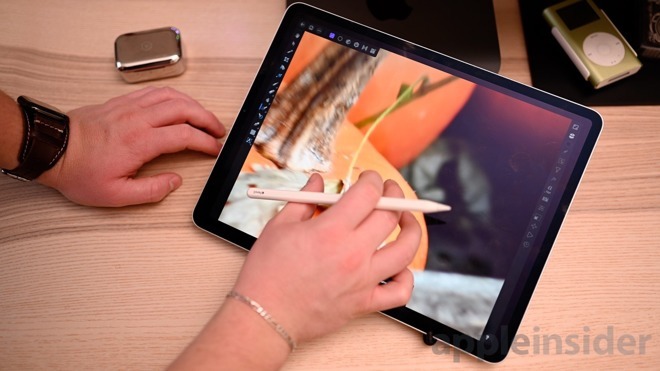 Of all the situations we utilized the iPad Pro for, writing and editing were by far the most common by man-hour. 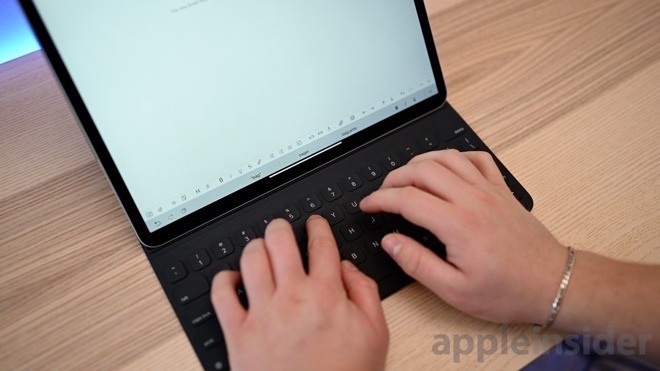 When writing, we tapped away on the updated Smart Keyboard Folio. We have quarrels with the new design overall —check out our full review for those —but it is still the best choice. It retains the same stiffened fabric keys that allow us to type as fast, and as accurately as we can on our Mac. This entire review was created using this iPad sans for the above video which was handled by Final Cut Pro X —which is a bit of a problem for total migration given our workflow. I created an outline of points to cover and a draft of the video script. I put together a shot list and points to film and photograph. 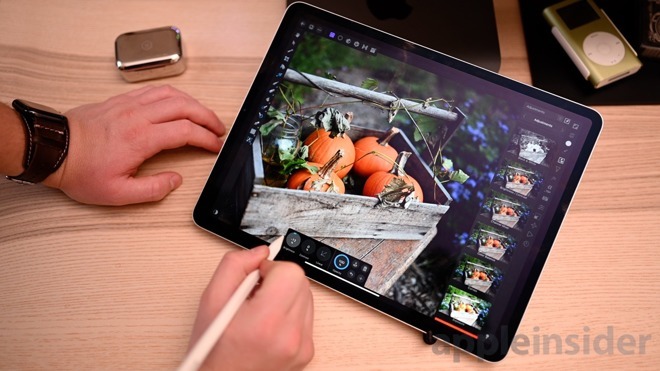 I then imported the photos to my iPad for editing and processing which involved going first into the Photos app, importing to Affinity Photo, then exporting with the correct size and name into the Files app, then writing the final draft of the review and working it into the AppleInsider publishing platform for publication. The entire process was easy and streamlined other than the hurdles relating to Photos —and the video editing, of course. 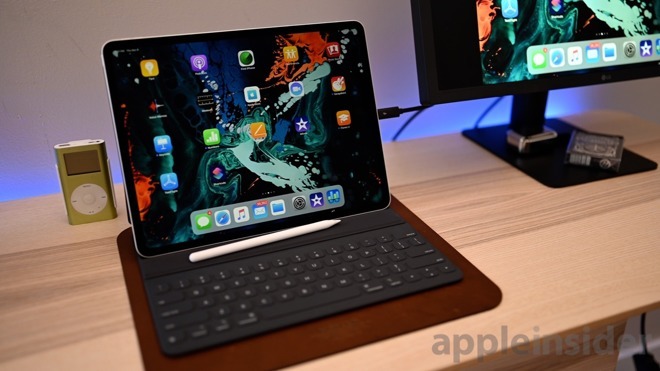 It's been a week and a half thus far and we certainly have opinions on the device, but going back to our fundamental question of is the iPad Pro a real pro device? —we have to say yes for the hardware, with caveats for the limitations of iOS. 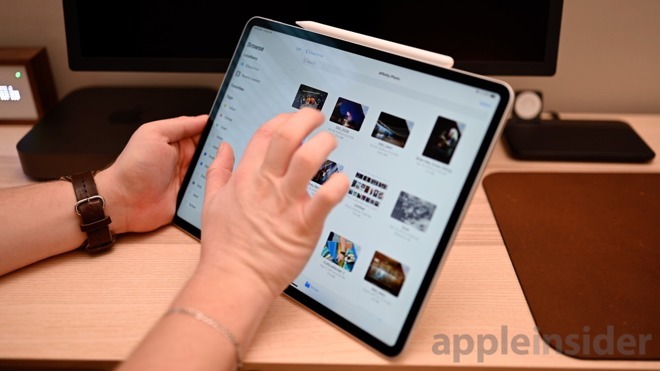 Apple authorized resellers offer a variety of perks on 12.9-inch iPad Pro purchases, including no sales tax on orders shipped outside New York and New Jersey at Adorama, plus free shipping within the contiguous U.S. 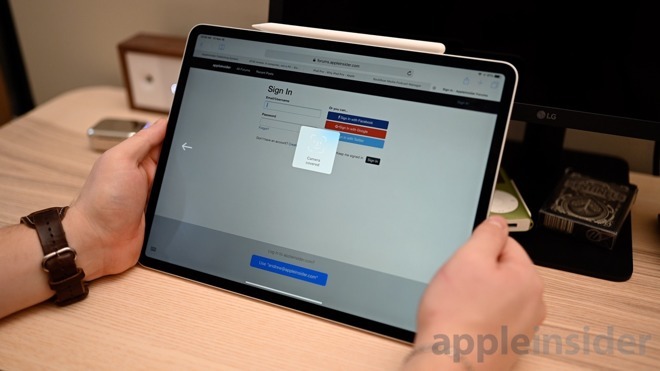 Shoppers can also take advantage of financing incentives with the Adorama Credit Card, such as no interest when paid in full within six months on iPad Pro orders over $500 —or no interest when paid in full within 12 months on iPad Pros over $1,000. With the holidays fast approaching, having a little extra time to pay off the purchase can be beneficial.